How to get enough Vitamin D in the body? 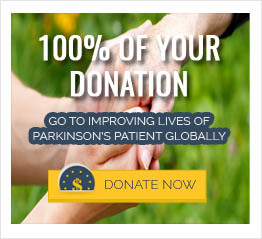 Research has shown that patients with Parkinson’s disease often have low levels of vitamin D. In southeastern United States, patients with Parkinson’s were noted to have lower blood levels of vitamin D than those without Parkinson’s. Those with Parkinson’s generally have lower bone mineral density and an increased risk of falls and hip fractures. Vitamin D is produced by the skin from sunlight exposure and it helps calcium to get in to the bones. Therefore, sufficient levels of vitamin D in the body may improve physical strength and balance. Therefore, vitamin D levels should be checked in Parkinson’s patients and kept in the optimal range. Outdoor activities such as regular walking, sufficient exposure to sunlight and engaging in daily physical activity may help maintain optimum levels of vitamin D. Since every individual is different and the full effects of vitamin D may occur over the course of many years, therefore it may difficult to determine the exact amount of vitamin D required by every single person. However, it is generally suggested that Parkinson’s’ patients should keep their vitamin D levels greater than 40 ng/mL (100 nmol/L). Vitamin D levels can be measured both before and three months after starting supplements to make sure that the individual has optimal blood level of vitamin D.
Dr. Awad AlShahrani, Consultant Division of Endocrinology, Department of Internal Medicine, King Abdulaziz Medical City, National Guards Health Affairs, Riyadh, Saudi Arabia.